What River Therapy Can We Do For You? Open all year, seven days a week, all holidays. All life vests and paddles included. Water safety lesson before launch. Enjoy one of four secluded sites accessible only by canoe: Little Ridge Camp site, British Camp, Boy Scout Bush Camp, or Big Rock Camp site, each with a fire pit. – $40.00 flat rate for the camp site, 6:00 pm until noon the next day or $200 for a week. Rent the Canard Queen or Rebellion for your get together, up to 15 persons! Instructions, paddles and life vests included. Start out in late evening, watch the sun set on the Canard, then experience the moon’s arrival on utter calmness. Stay out till midnight or so – $20.00 includes canoe, paddles and personal floatation devices. We drive you to your launch site upstream and drop you off in the wilderness at the river bank. 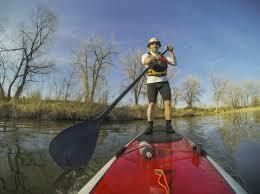 Paddle through the forest. Portage at Wendats Pass and Splitlogs Portage Trail to get back. Bring provisions and picnic al fresco. There are rumors of a mysterious llama farm along the way. Are they true? Find out for yourself. 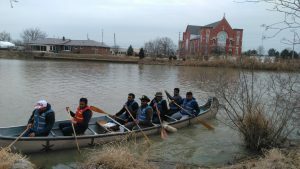 – $40.00 per canoe. Includes shuttle, canoe, paddles and personal flotation devices. 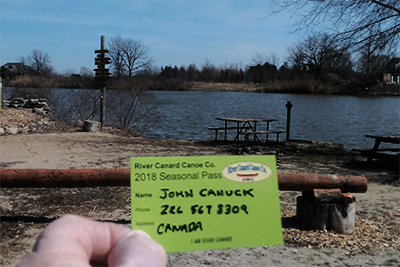 For those who can’t seem to keep themselves away from the river, you need not worry because everyday can be a canoe day when you have a Seasonal Pass. Just $179 for the season, this pass is a real deal for anyone who loves to be on the water.